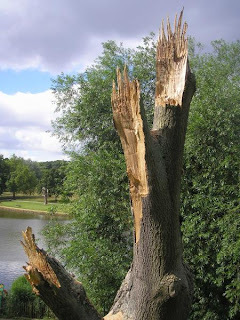 I always hate seeing a tree fall, but sometimes there is no better way to learn about the way trees grow than from a post failure forensic investigation. 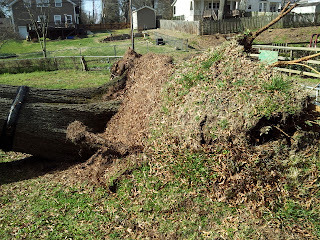 And while I know our last post was about a fantastic large tree failure, this was too good to pass up. 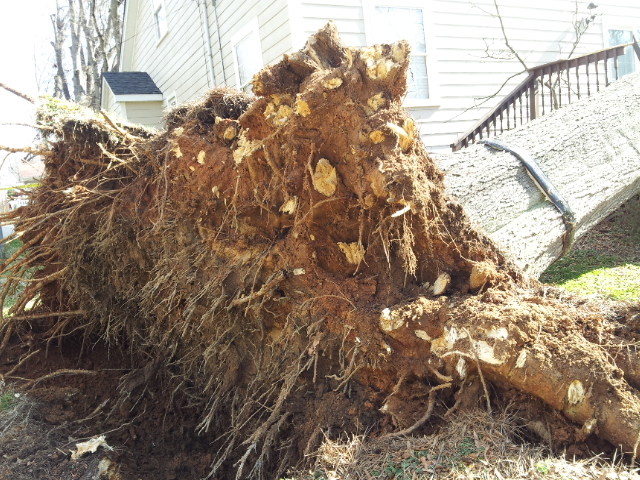 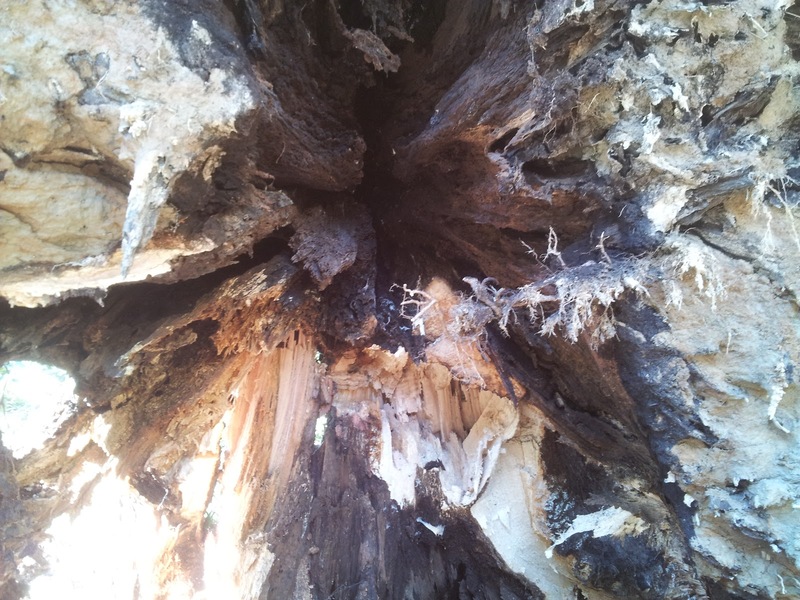 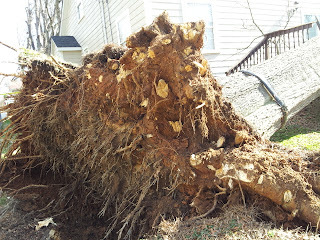 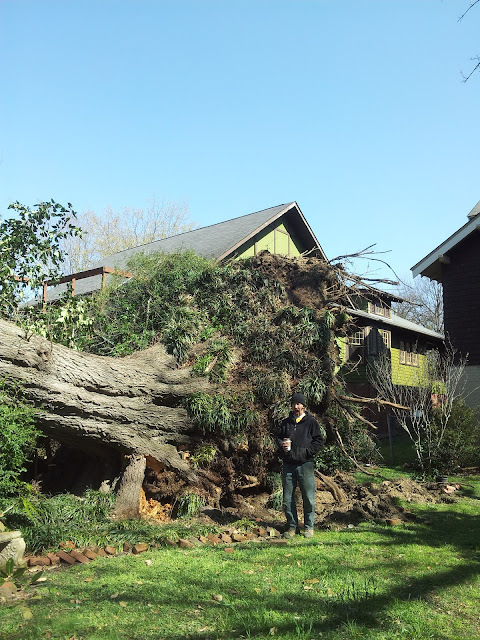 Our subject is a large mature willow oak that suffered a tremendous root plate failure. 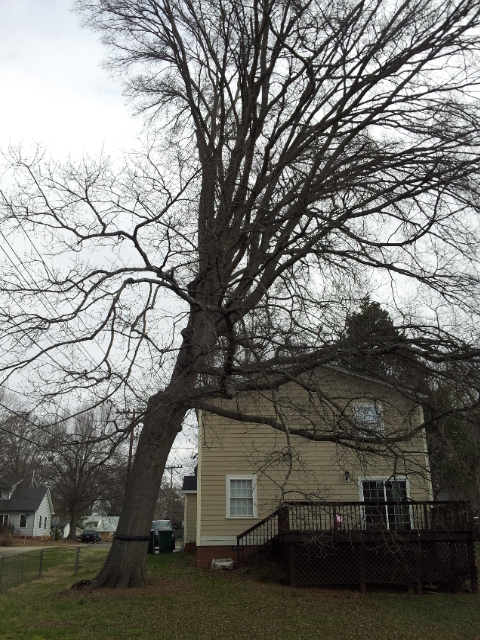 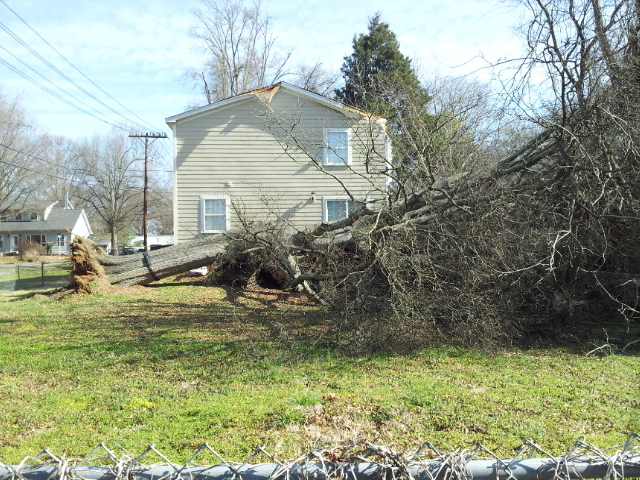 This tree was growing in a known flood plain, and was one of the tallest trees on the block. 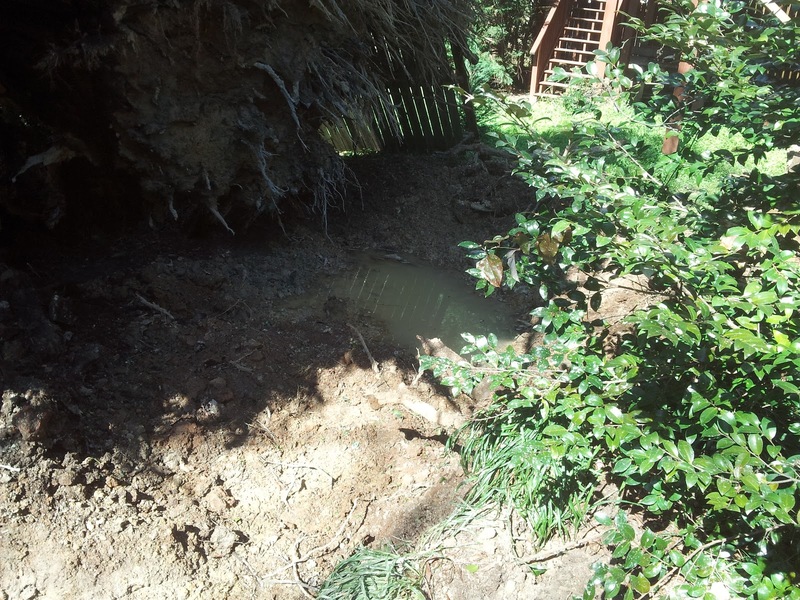 Notice the amount of standing water in hole left behind when the roots pulled from the soil. 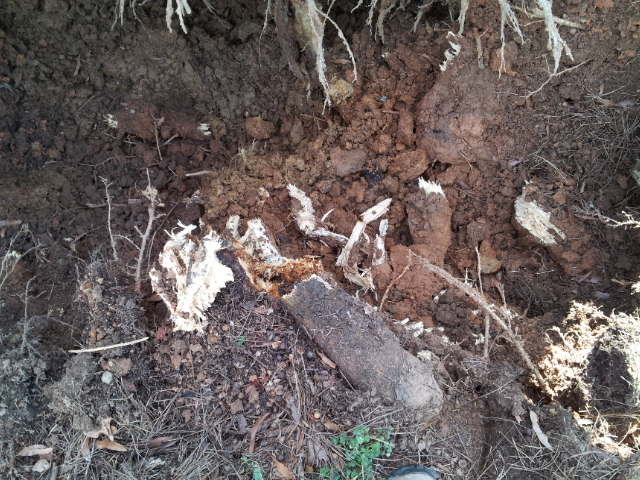 Keeping the size of the root plate in mind, and the proximity to the camellia in the picture below, notice how the wet conditions allowed the roots to be pulled from underneath soil like a magician pulling the table cloth from a fully set table. 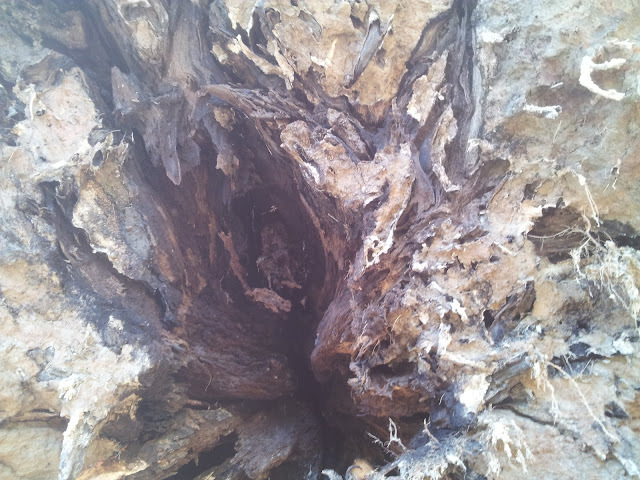 The only indication of decay at time of failure was a cavity along the lower trunk/root flare of the tree. 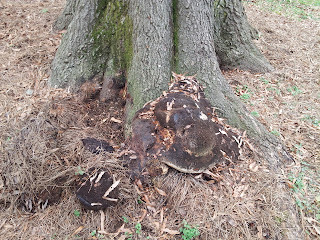 Now, here is a part of the tree we don't get to see often. 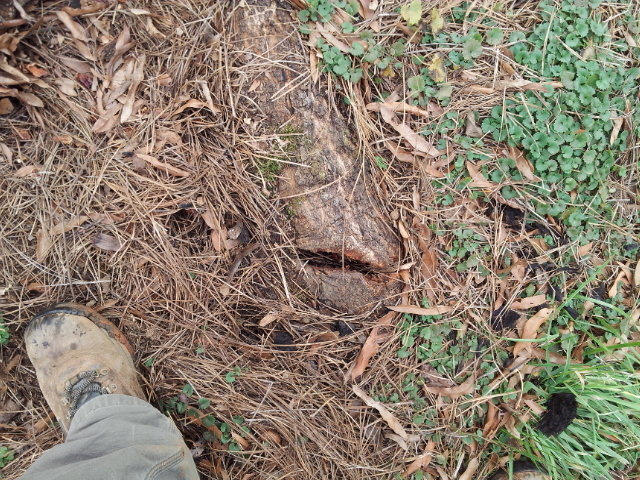 With the root flare up ended we can see the structure and arrangement of the structural root system, and associated decay. The decay column moving upward in to the stem is a common occurrence in many tree species. 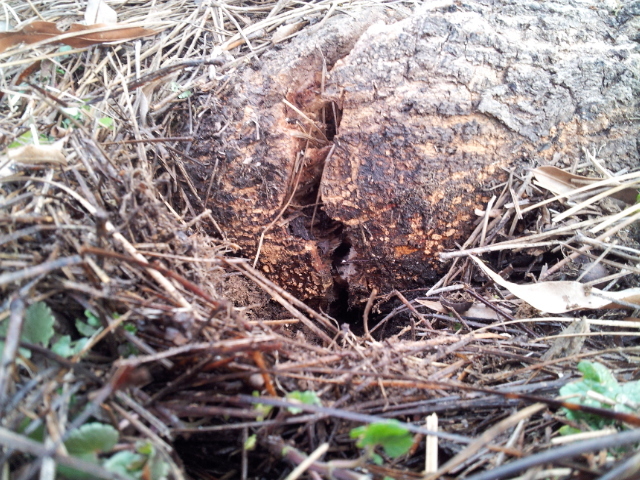 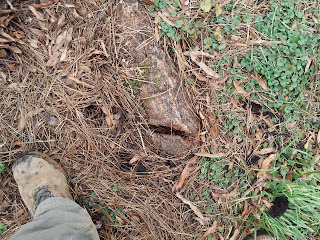 It is a result of the original tap root dying off and allowing a path for decay to move into the stem. 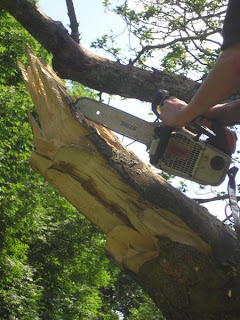 This is a process that can take years, if not decades. 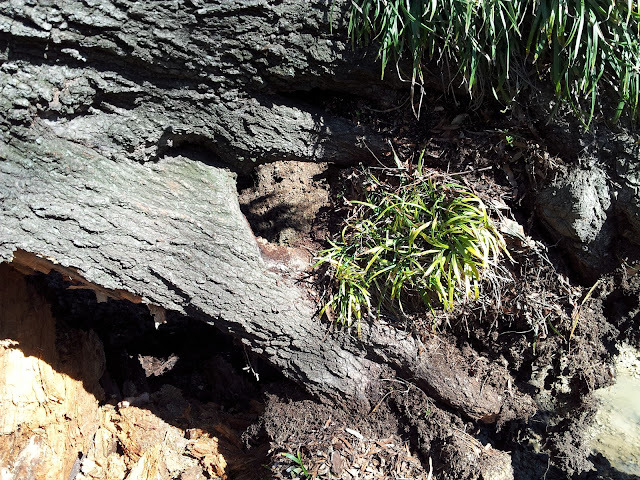 In species that compartmentalize well it is just a peripheral event, but for poor compartmentalizers, it may the defining defect in their demise. 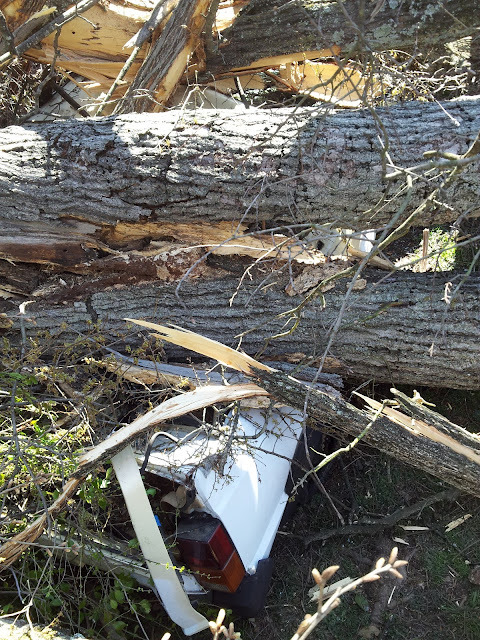 Good thing the Jeep was insured.